This can be a very windy place according to one of its owners Lady Margaret Myddleton and this is why the parkland has fairly dense trees to provide a windbreak. 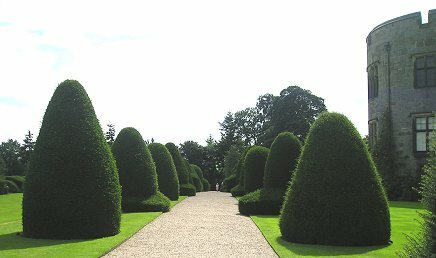 The formal gardens are now so mature that I’m sure that even on the windiest of days the topiary can be enjoyed in a light breeze but no matter anytime of the year would be a good time to visit. Yes it’s a castle and a very fine one too. Built at the time when the English Kings wanted to keep the Welsh out of England and showed their power by building state of the art edifices. Unlike many a medieval castle in Wales however, this one is not a ruin and has been lived in continuously up to the present day. I know I say this about all the houses but go inside if you can. I particularly liked the long gallery but you might like the plaster work or the paneling, anyway this is a grand home by anybodies standards. 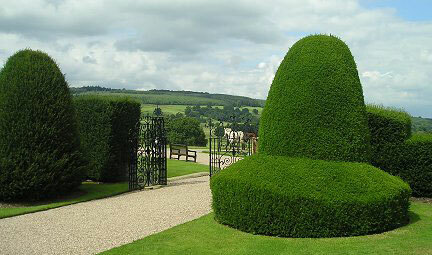 But its the topiary you’ve come to see of course. Some are said to look like Welsh ladies hats. I’ll leave you to decide. The main specimens are big anyway and take a team of gardeners from mid August until October to clip them. 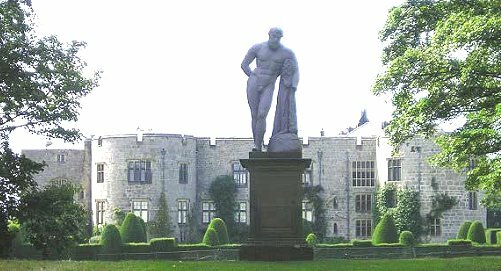 Gardening in earnest began at Chirk in 1653 when Sir Thomas Myddleton, a general who had done rather well out of the Civil War thank you very much, laid out a formal pleasure garden for the amusement of himself and his friends. 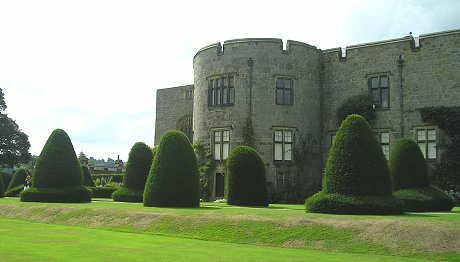 This included a bowling green surrounded by several banqueting houses.In 1708 Sir Richard started the topiary craze by establishing a sunken parterre in the shape of a fleur -de-lis near to the castle. In 1761 William Emes, of the Landscape movement, created the open parkland which disappears down the hill but it was not until the late nineteenth Century that Richard Myddleton Biddulph revived the formal gardens by planting the yew trees which we see today. During the Second World War the gardens fell into sorry decay but the present owners Colonel Ririd and Lady Margaret Myddleton painstakingly restored them until you see the glory that is today. Lady Margaret is also mainly responsible for the herbaceous planting. 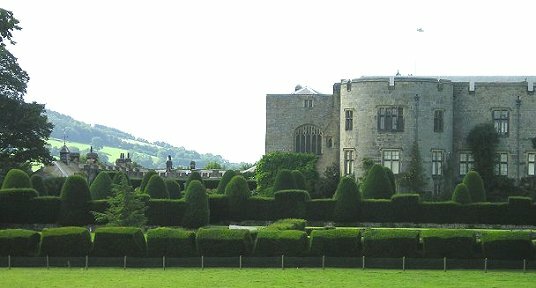 The National Trust took over responsibility for Chirk Castle in 1981 to ensure that the garden will live for ever and yew trees in particular are something which nearly can.